A fantastic alternative to a guest book. 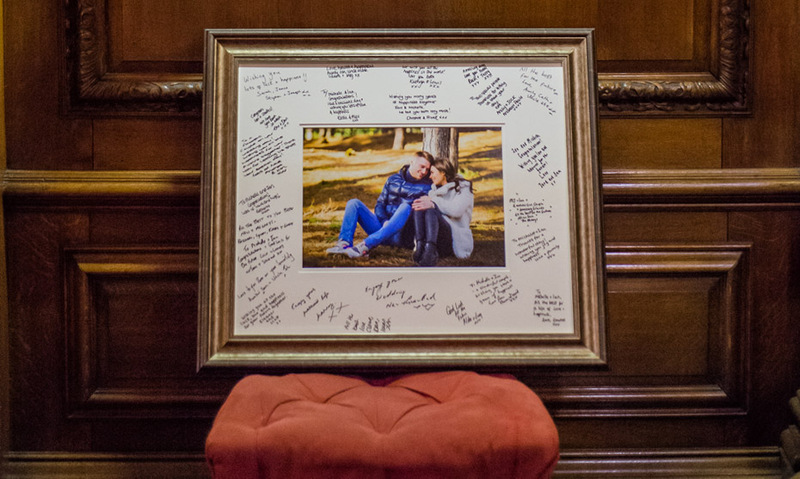 Our signature frames becomes your guest book where family and friends can write a short message about your day. Choose your favourite photograph from your Pre-Wedding Engagement Shoot which will be printed to the highest quality paper. We provide the frame with glass and also the mount which is to be signed on your wedding day. This is the ideal wedding memory for your house, it offers a lovely talking point for anyone visiting. With a variety of frames and mounts to choose from, you really can have something unique from your wedding day hanging for years to come.